Repeated falls can point to a number of conditions. If the clumsiness continues, it might be caused by in-toeing, balance problems, or neuromuscular conditions. It is never normal for a person to experience pain. If your child has foot pain or swelling for more than a few days, even after a minor injury, it’s time to have their feet examined. If your child cannot keep pace in sports or backyard play, it may be due to tired feet or legs. 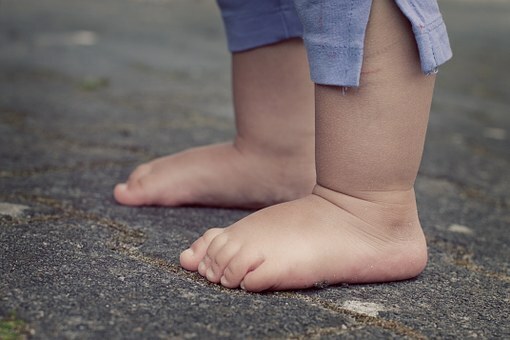 Fatigue is common in children with flat feet. The muscles in the feet and legs tire easily due to abnormal functioning. This is a common complaint of active children complaining of heel pain. Repetitive stress from sports and running can cause inflammation of the heel’s growth plate. The growth plate is especially prone when the child is between 8 and 14 years old. Some children don’t want to talk to their parents about pain or change in appearance because they fear a trip to the doctor’s office. It is important for parents to discourage this feeling. It is also a good idea for parents to make a habit of inspecting their child’s feet for any changes like calluses, skin discoloration, warts, redness, or swelling. If you or someone you know is experiencing pain in their feet, the doctors at Coastal Podiatry Associates are available to help. The doctors have received extensive training in all aspects of the foot and can help you return to normal activity. To determine the best course of treatment contact our office at 843-449-FOOT (3668) or visit our website at www.coastalpodiatry.com.